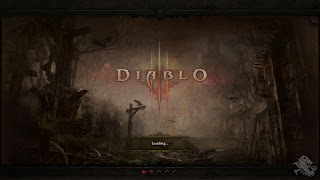 Recently, I was granted access to the Diablo 3 Beta. This is a game that I have been looking forward to since its announcement at the 2008 Blizzard Entertainment World Wide Invitational in Paris. I can still remember sitting down and watching the live stream with a few friends in the early morning. 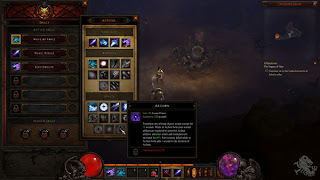 At Blizzcon in 2008, 2009, and 2010 I had the opportunity to play through each of the different demos, and the game has gone through some dramatic changes at each of its appearances. 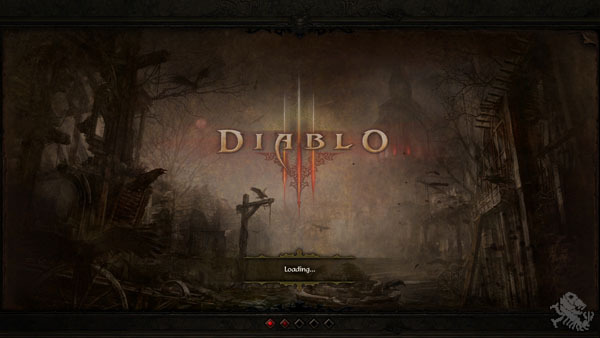 But we are now looking at a near final build of the game; now Blizzard just needs some help testing! Before jumping into the game you are asked to make a character. You can choose from male and female versions of the Barbarian, the Witch Doctor, the Wizard, the Monk, and the Demon Hunter. I went with the Wizard, as I am a sucker for magic. There is no real customization beyond class and gender; your appearance is mainly customized from the equipment your character wears. The Diablo 3 Beta has one section of the game’s first act playable currently. If you remember the announcement trailer from 2008 you will recall a falling ‘star’ about to crash into a cathedral where a new character, named Leah, the niece of Deckard Cane is hiding inside of. The beta picks up shortly after this event. 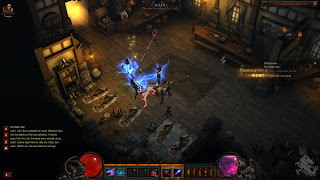 You character starts up on a hill overlooking the town of New Tristram. As you make your way down the hill you run into some undead which are quickly dispatched by the wizards signature spell magic missile. Eventually you make your way to the towns gate where a wave of large wave of undead are attacking, luckily some nearby guards help you dispatch them. Inside the town you find Leah who is worried dearly about her uncle Deckard who was underneath the cathedral doing some research when the ‘star’ crashed down. This ‘star’ also appears to be the reason for the dead rising. It is here where your quest begins to find Deckard Cane and put a stop to this undead madness. I don’t want to spoil the entire beta, so instead I will talk about some of the game’s systems. No longer do you save up talent points and invest them all into just a couple of abilities. Your abilities are now unlocked as you level and you can only equip a few to your bars depending on what level you are. For example by the time I got to the end of the beta I had maybe six to eight abilities unlocked but I could only have three of them active at one time. As you level up more slots are unlocked to equip abilities but at the same time you gain more abilities so you have to pick and choose the best abilities for your current situation. These abilities also improve naturally as you level up. Rare and enchanted monsters are back in the game and I ran into some early on and got killed pretty quickly. Before that I thought the game was going a little too easy on me, but that quickly changed once I started delving into some of the games randomized dungeons. I would always make sure to check every nook and cranny of each floor in the dungeons to make sure I was not missing out on any loot or experience points. These maps were pretty huge I might add, each floor of some of the bigger dungeons might take 10 minutes to fully explore. Some of them even had additional ‘events’ which pit you against large hordes of monsters and reward you greatly if you manage to survive. The game also rewards you for being good at playing. For example if you can continually defeat monsters without much of a break the game awards you with additional experience points once your string of kills ends. This should help encourage players to play smart and not end up dead. If you do die the punishment is not particularly severe, just some durability damage. However, dying in the games Hell and Inferno modes means your character is gone forever. But much greater rewards await those who can conquer those modes. The beta ends with a big boss battle that relies heavily on taking visual cues in order to stay alive. All and all It took me about two and half hours to make it through the beta. My game was set to private as I wanted to make sure I played through the beta alone at least once. 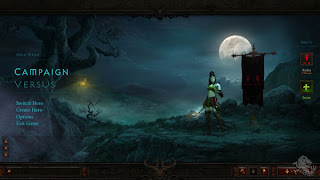 I am already part way through another play-through of the beta, just to check out some of the new randomized dungeons. No word on if additional content will be made available for testing, but if so I will be sure to post another update. 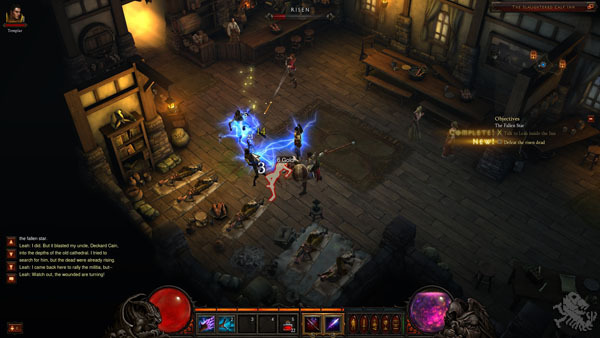 Blizzard hopes to have Diablo 3 out sometime before the end of the year, but it could very well be pushed into 2012. Hopefully it won’t be too much longer through, as I am not sure how long this brief beta can hold me over.